Stories exist all around us. I once sat down with a woman at a WordCamp I had helped organize. She had been a volunteer for as long as I was an organizer, so I knew her, but not in any context outside of this event. We were chatting about families and I asked her how many (grown) children she had. That seemingly simple question brought out a heartwarming story of loss and redemption. One that I was not expecting, but felt so honored to learn. The fact that EVERYONE has a story is why I created Story First Blogging, because those stories deserve to be told, especially by photographers with beautiful images. It is also a core value of Tamara Lackey’s non-profit, Beautiful Together, and a big part of why it is such a powerful organization. I have been fortunate to work with Tamara and get to know her organization and brands in the past few months, and when I tell you that she cares so much about the work she does and the lives that she touches, it would be an understatement. Part of my work with her has brought me along as an observer to her on-the-ground work in Ethiopia for Beautiful Together. And watching this journey, especially the bits she shares on social media, all I see are stories. Amazing children, and the adults who care for them, with complicated loves and lives. So what better collaboration than a tool to help photographers share their stories with an organization trying to make stories better? 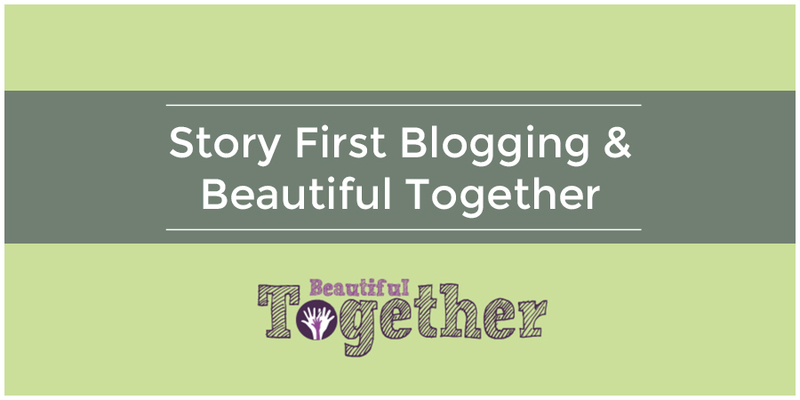 I’m so excited to announce that Story First Blogging has partnered with Beautiful Together to give 50% of every blog package sold using the code: beautifultogether. This is not a discount, although it will work with any discounts that are available, and you need the code (beautifultogether) to ensure that the proceeds go to Beautiful Together. Tamara is announcing it in her talk at WPPI, but it will not have an expiration. I do hope that you use the code because the work that Tamara, her family, and the team that surrounds them, is doing is invaluable. And, this is only the beginning of what I hope is an ongoing partnership. Using the power of photography and community to continually help others it the best reward I can think of for being a creative entrepreneur.